Kenneth E. Moore is the managing partner of the firm and heads its banking and corporate practice. 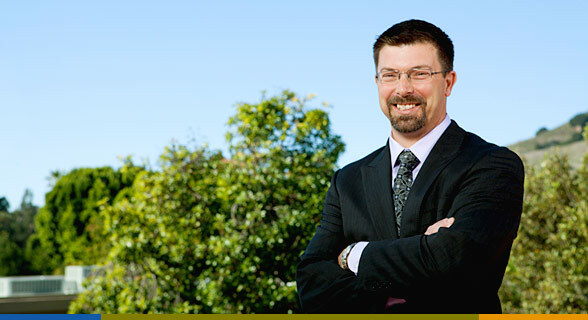 He began his legal career with a firm in Santa Barbara, California counseling clients in real estate and general business matters. Mr. Moore joined Reitner & Stuart as an associate in 2003 practicing banking and corporate law, and was named a partner in 2005. Mr. Moore represents financial institutions and their holding companies in regulatory, securities, and general corporate matters, and has significant experience in the management of regulatory relations, regulatory enforcement actions, capital raising, and mergers and acquisitions. He also represents private investors in financial institutions, providing counsel on regulatory and governance matters in connection with the acquisition and holding of such investments. Mr. Moore has published articles and lectured on many topics related to financial institutions and regulation. negotiating and settling regulatory orders and agreements with problem banks and thrifts and handling various emergency situations involving problem or failing banks; negotiating TARP related transactions with Treasury and private investors; interfacing with various corporate committees on regulatory and financial compliance; negotiating and structuring long term debt financing for bank holding companies and banks; directing the formation of new banks, thrifts and holding companies; advising and preparing anti-takeover charter amendments and “poison pills;” advising and negotiating in the context of hostile takeover attempts; and rendering general corporate, securities and regulatory advice. 2013 – Lead counsel in $15.5 MM merger of equals transaction. 2012 – Lead counsel in $6.0 MM offering of bank convertible preferred stock, acted as counsel for placement agent for $12.5 MM private placement of common stock, lead counsel for private equity investor in bank common stock. 2011 – Lead counsel in the sale of troubled bank and bank holding company (including discounted TARP CPP redemption), assisted as counsel in sale of troubled bank and bank holding company. 2010 – Lead counsel in $60 MM private placement of convertible preferred stock. 2009 – Lead counsel in $95 MM branch sale, assisted as placement agent counsel in $48 MM secondary common stock offering of bank holding company. 2008 – Lead counsel in 6 TARP transactions closing for a total of $76 MM. 2007 – Assisted as counsel for target bank and bank holding company in $850 MM merger transaction, as lead counsel for acquirer in $20.6 MM merger transaction, and as counsel for target in $25 MM merger transaction. Lead counsel on formation of new bank. Mr. Moore is a current member of the California State Bar Financial Institutions Committee, and an associate member of the Western Independent Bankers Association. He also serves as the Vice Chairman of the Board of the San Luis Obispo Classical Academy, a non-profit private school in San Luis Obispo, California. When away from the office, he enjoys backpacking and camping with friends and family, photography, golf, and coaching youth sports. He is married and has three daughters and two sons.